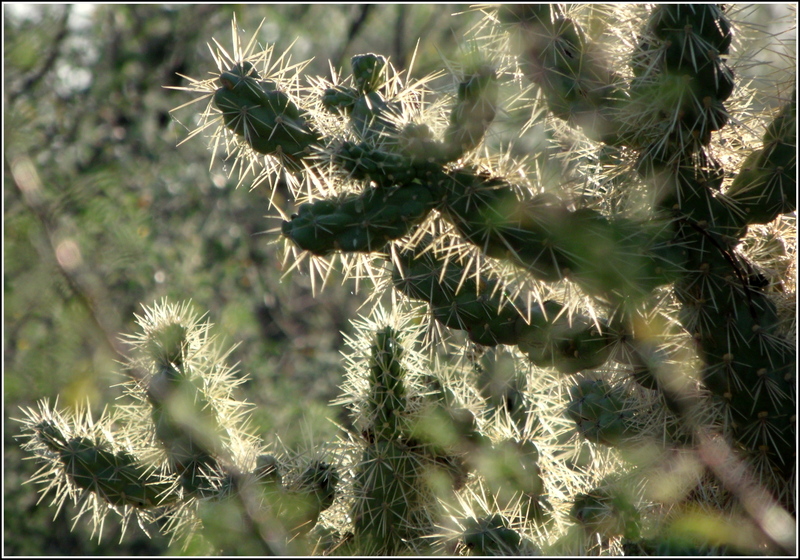 I would say that I know this creature intimately, but that might bring to mind thoughts of romance and love, and while there was a lot of fighting, cutting, scratching, and bleeding between myself and the 19 bushes that I had in my yard for almost two decades, there wasn’t a lot of romance involved. 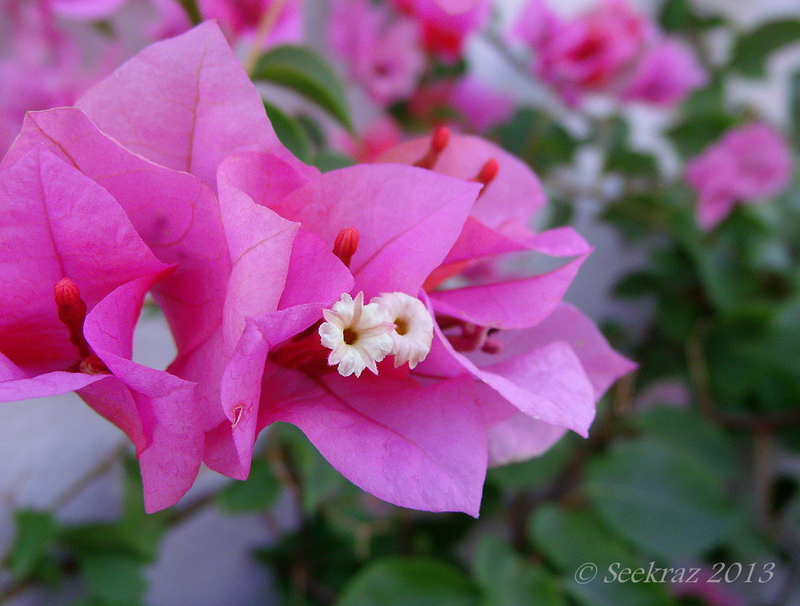 I will admit, however, in spite of the scars that I still carry from our lengthy affair, that I do find the Bougainvillea to be quite beautiful…and worthy of more than a little bit of love…. 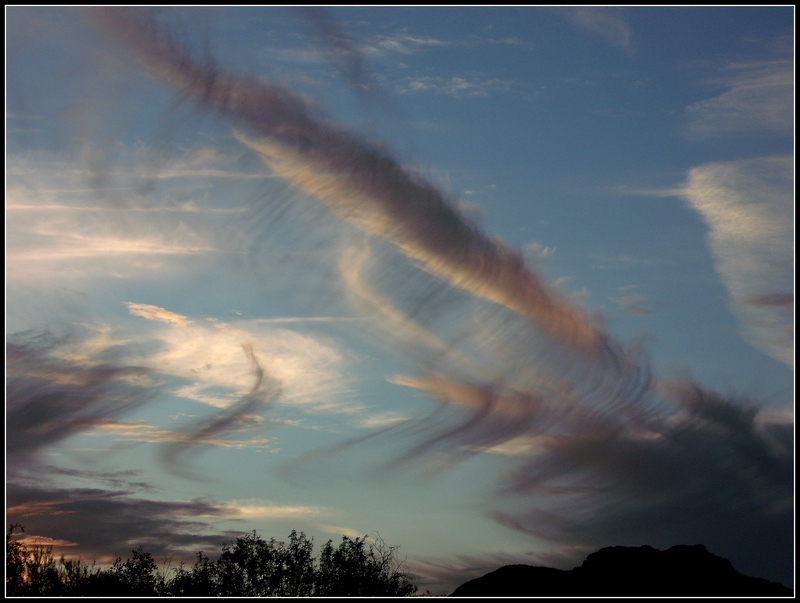 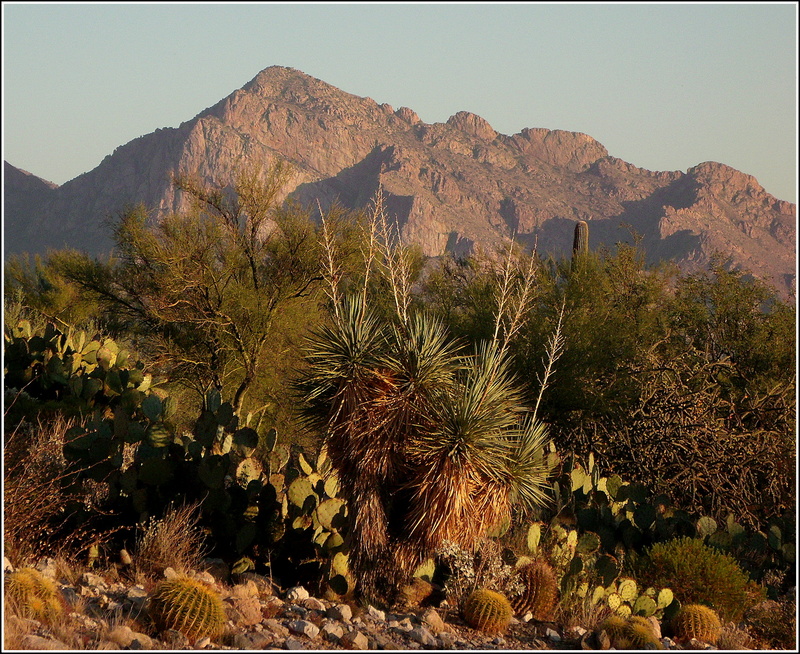 Anyway…I made this image while visiting family in Arizona this past October. 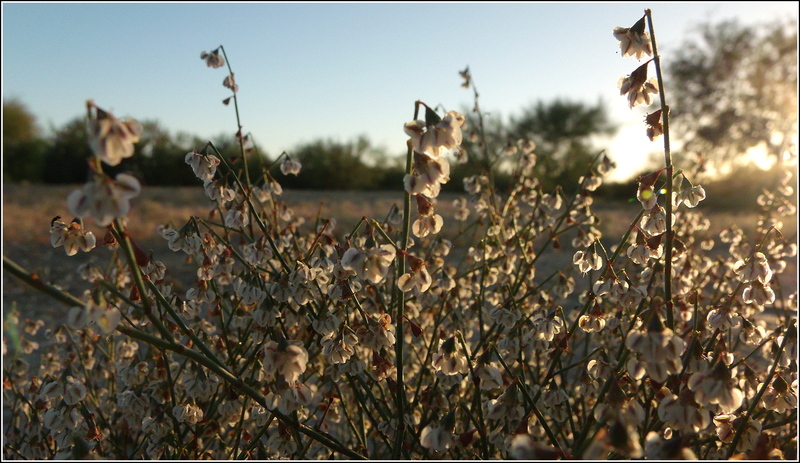 The flowers are actually the small white structures in the center of the modified pink leaves. 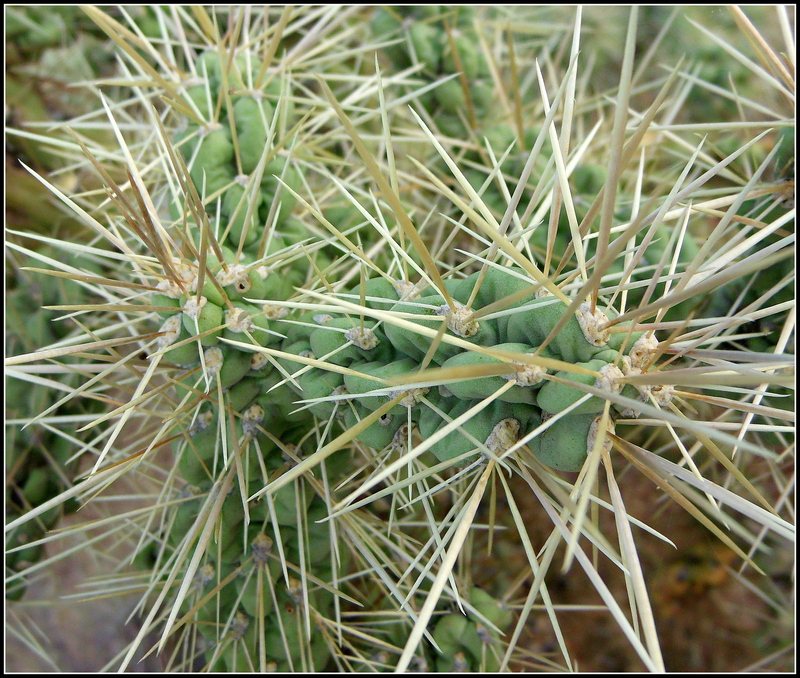 If you’d like the complete Wiki rundown, you can click here for more info. 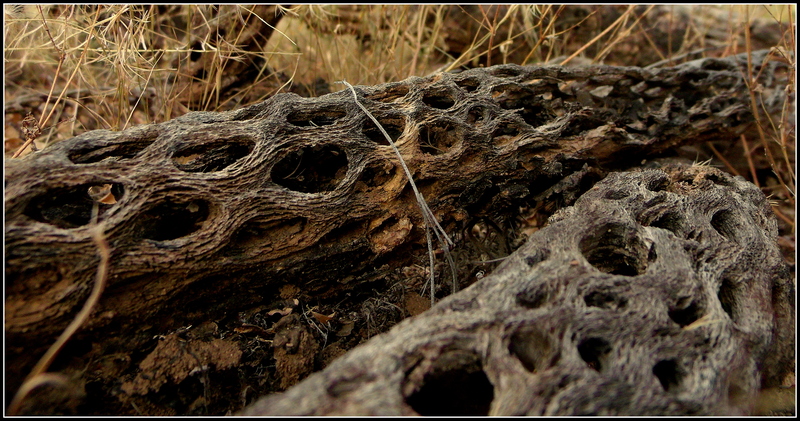 Found in the desert, too…. 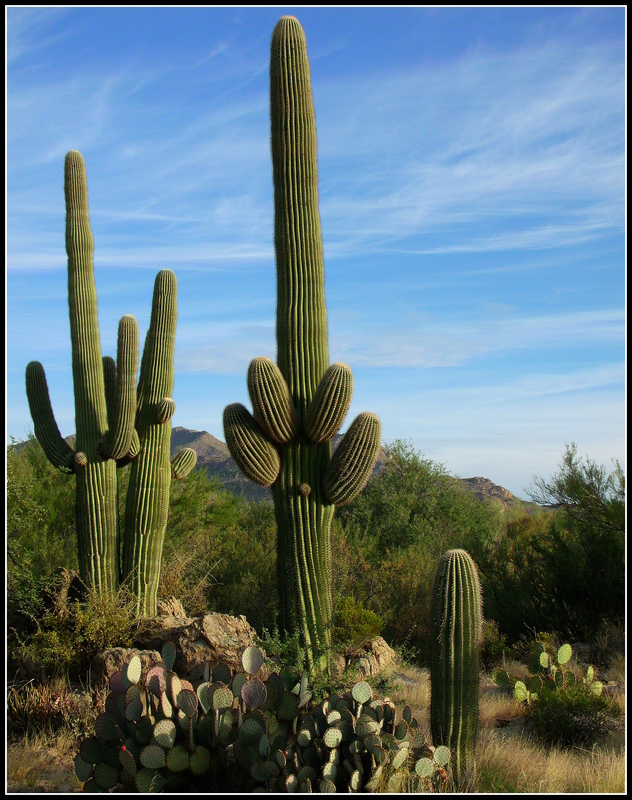 This post is a carry-over from the earlier one, Found in the desert…a little bit of a photo album from a relatively recent trip to Tucson, Arizona, USA. 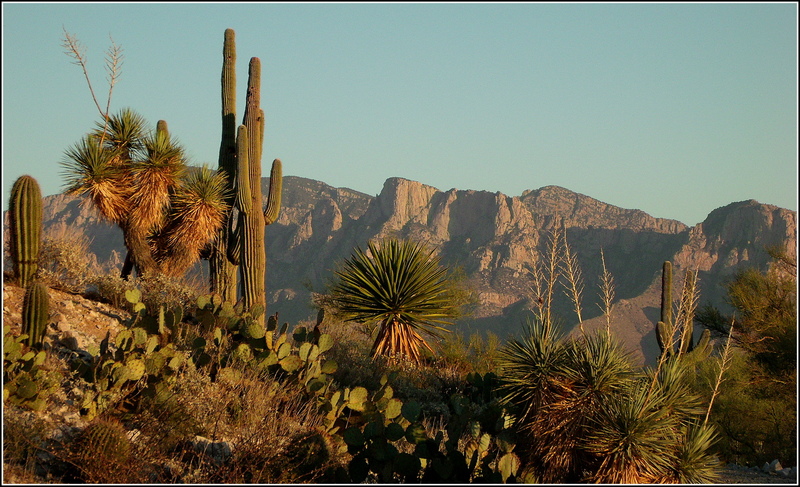 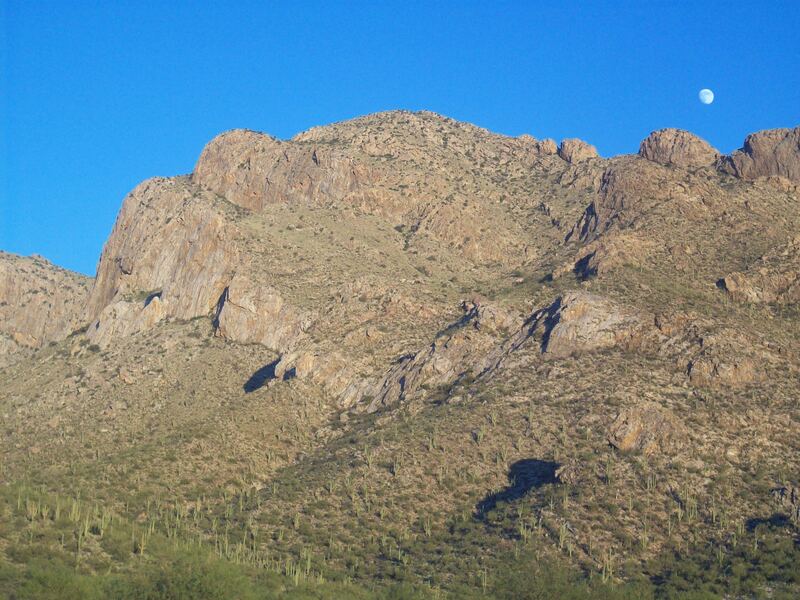 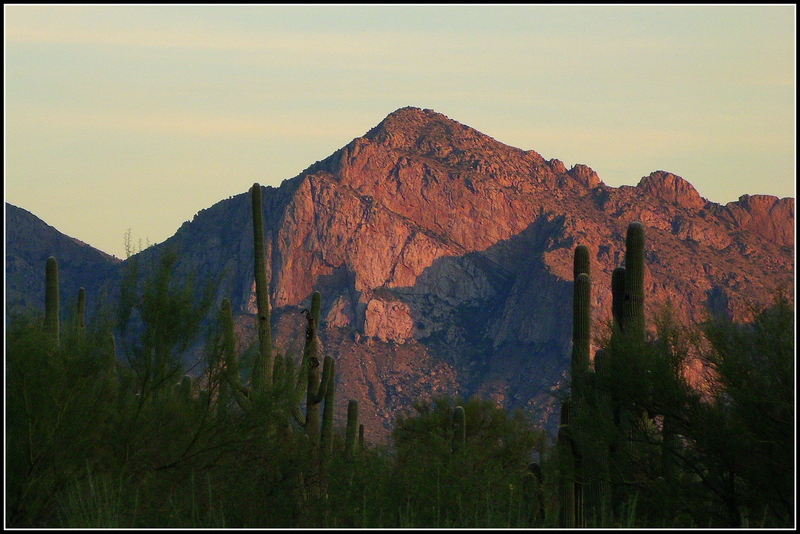 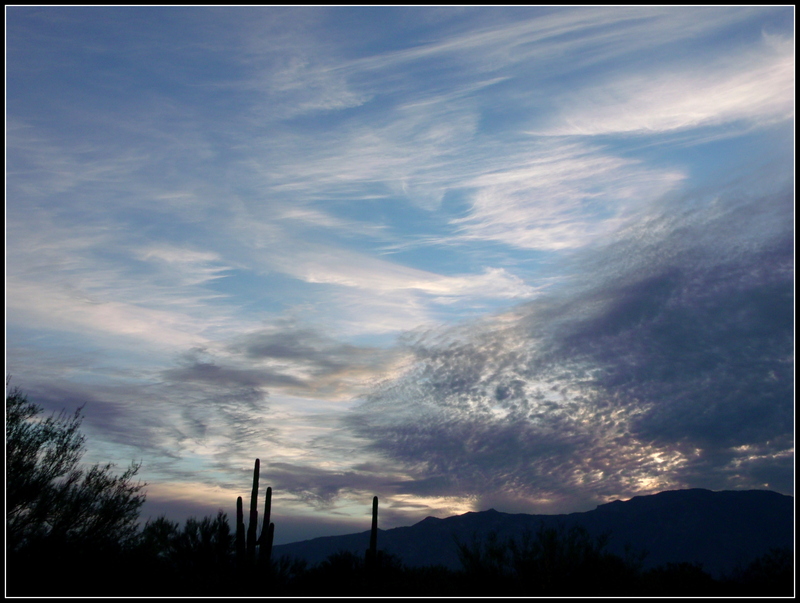 Again, the backdrop for the first image is the Santa Catalina Mountains…it used to be considered a geographic boundary of the greater Tucson area, but housing developments and commercial interests have moved or spread to this side over the years. 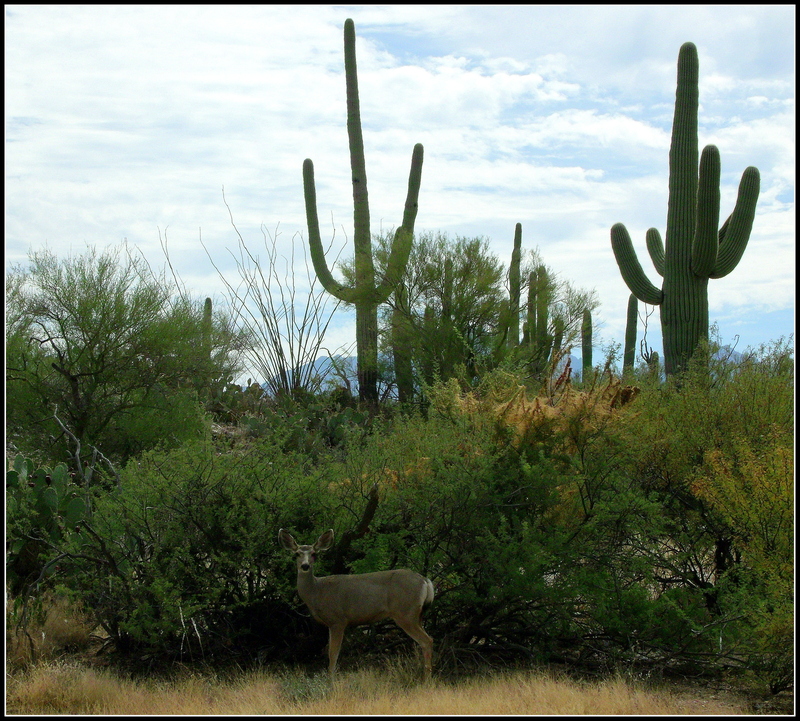 The photo contains representations of the well-known Saguaro cactus, Prickly Pear cactus, some Cholla, and even a bit of what I believe is a small Yucca in the bottom right corner…as well as what might be Greasewood bushes/shrubs. 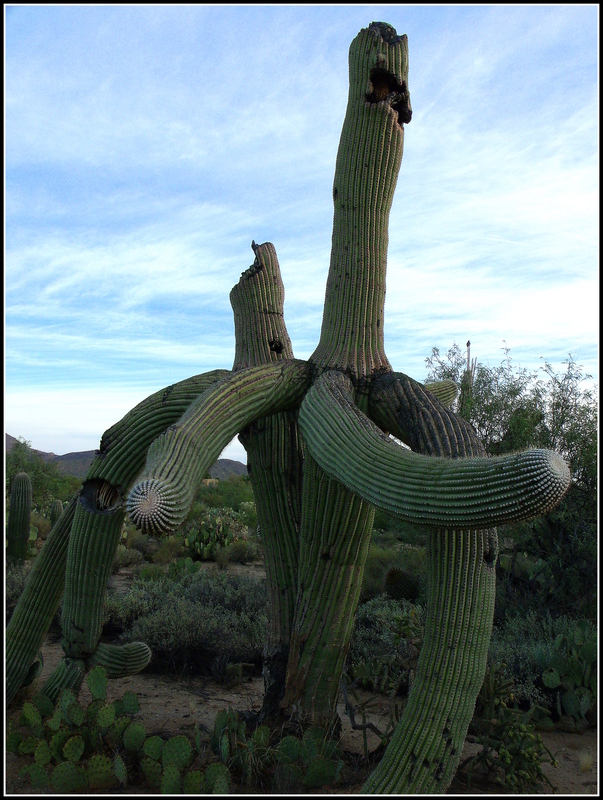 Twin (?) 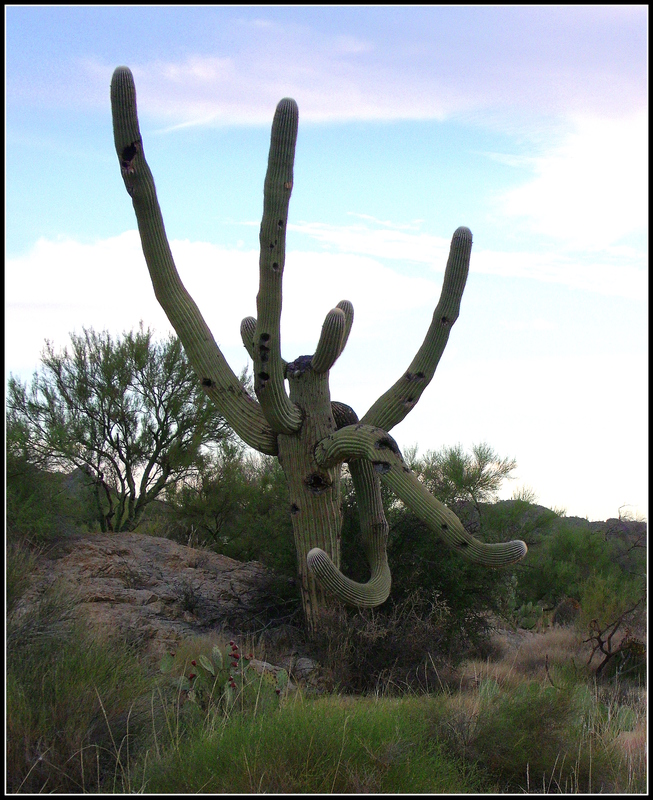 Saguaro cacti that have seen better times…I believe they are approaching their end…. 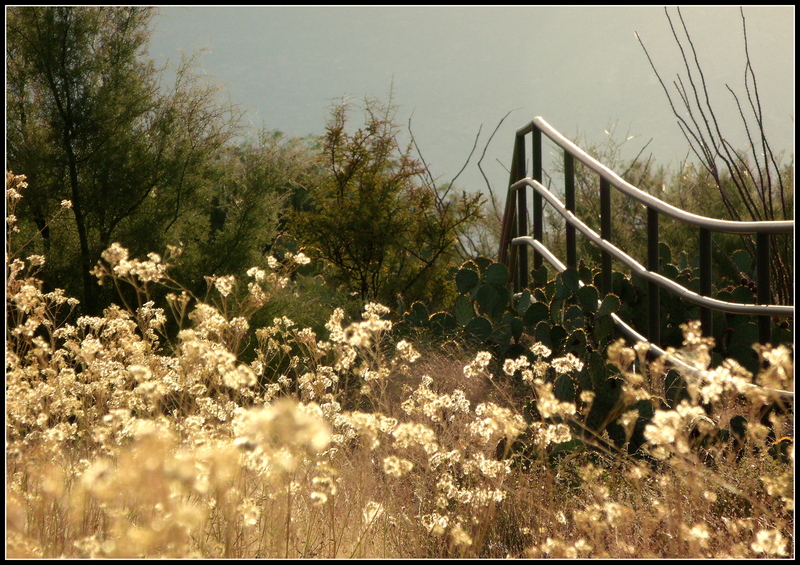 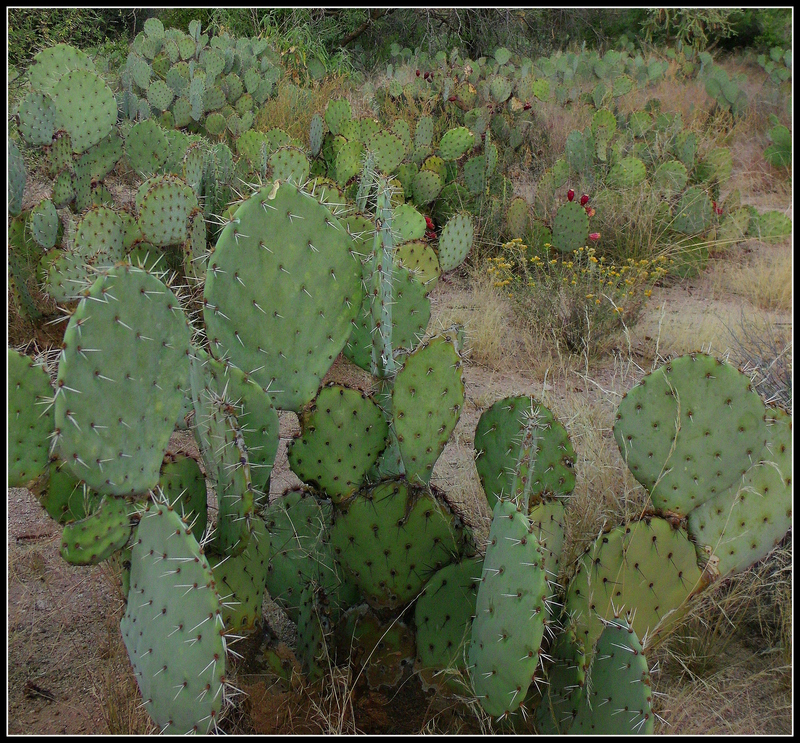 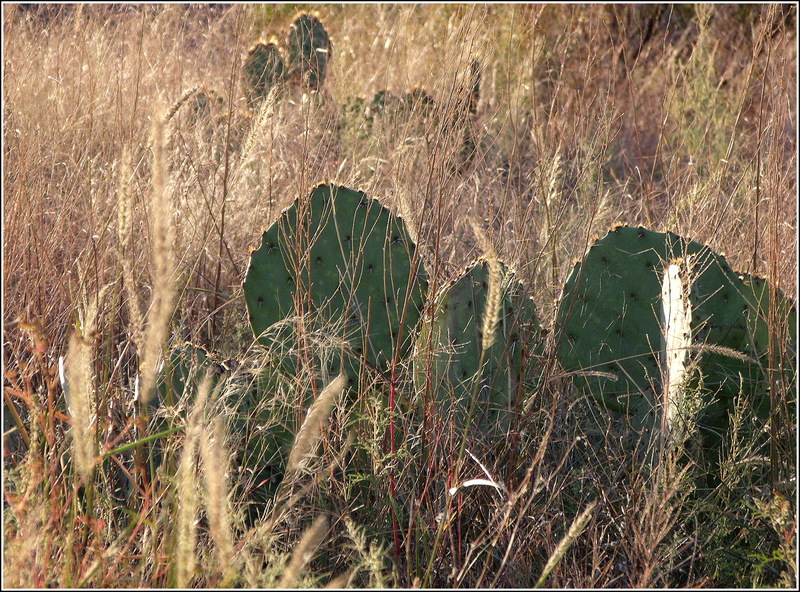 A nice patch of Prickly Pear cactus…. 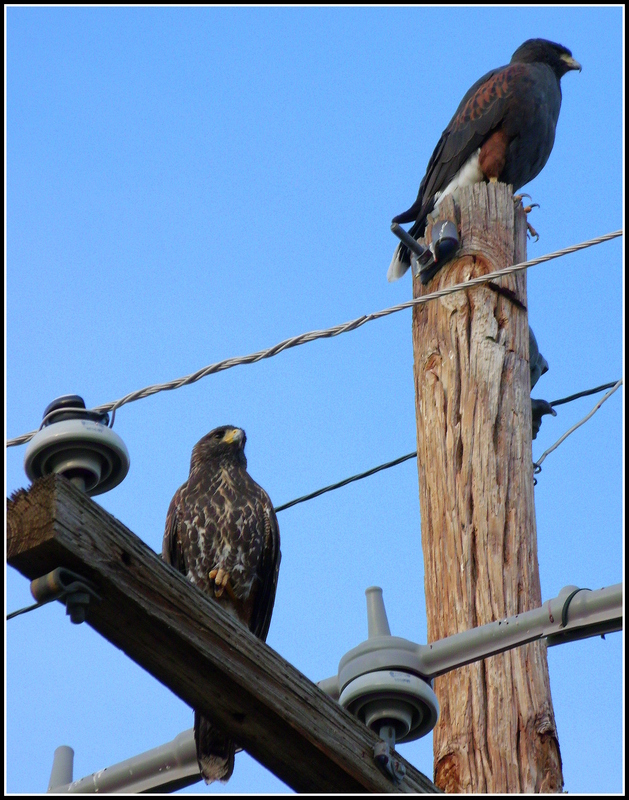 While the below photo isn’t nearly as impressive as the array of hummingbird images you’ll find when visiting Emilio at Disperser Tracks, I thought it was still pretty cool…. 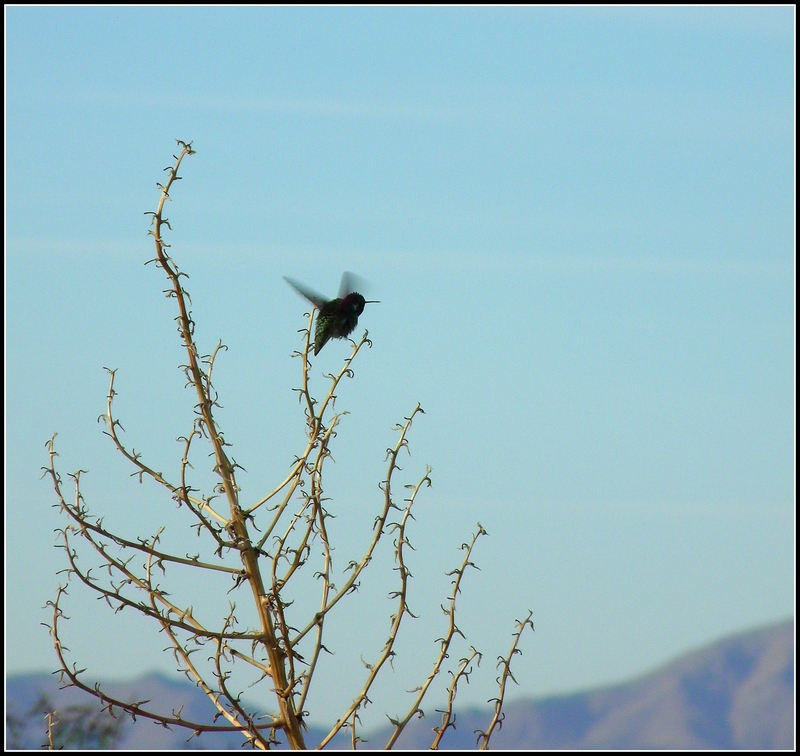 You can click on the highlighted words in the previous sentence to see his two posts on the Hummers of Summer 2012. 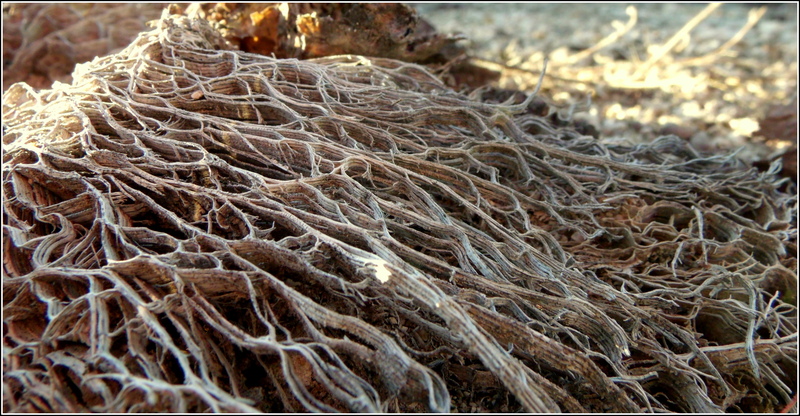 Wonderful photos…..
A little bit of Cholla cactus skeleton in the below shot…. 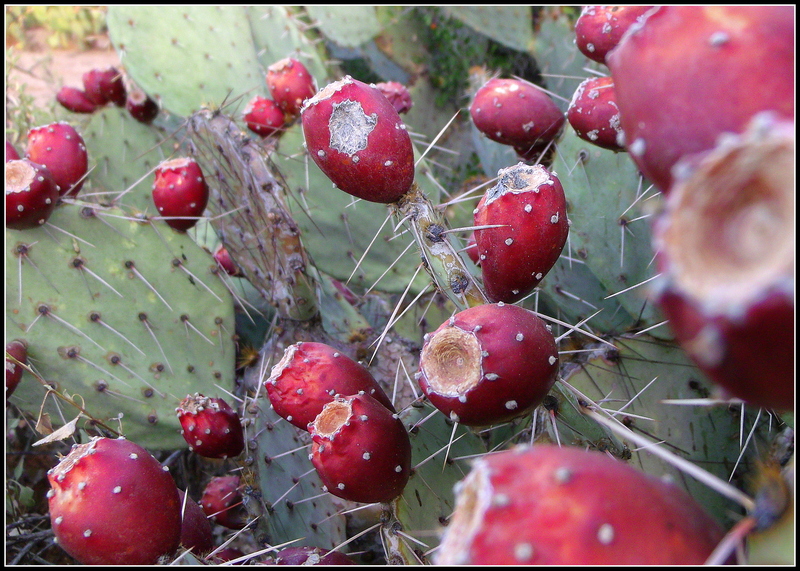 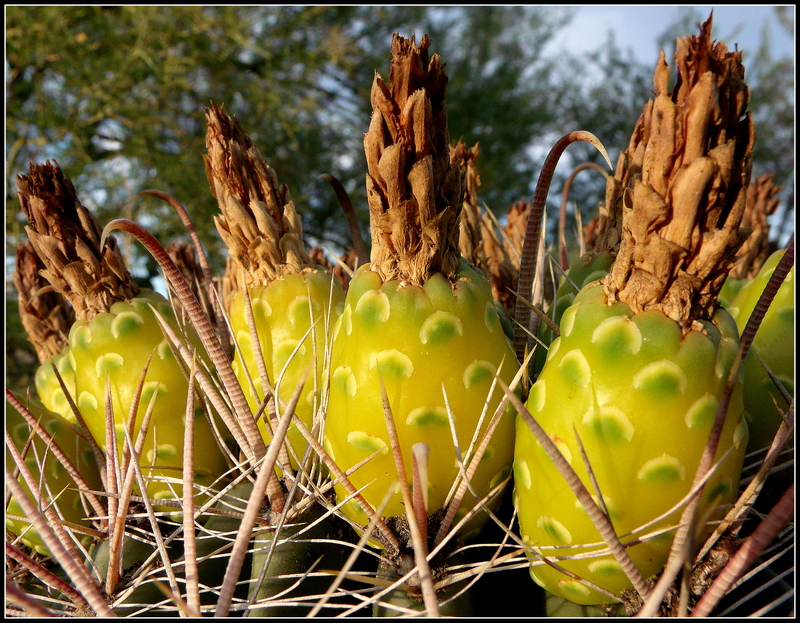 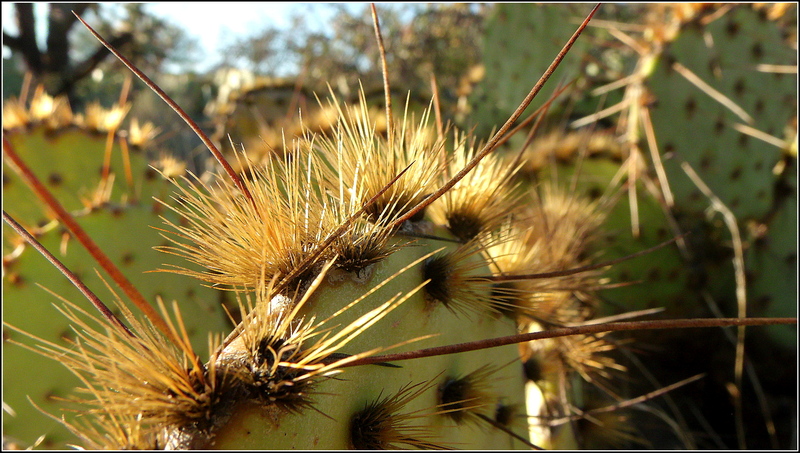 Fruit and not-so-friendly spines from a Golden Barrel cactus…. 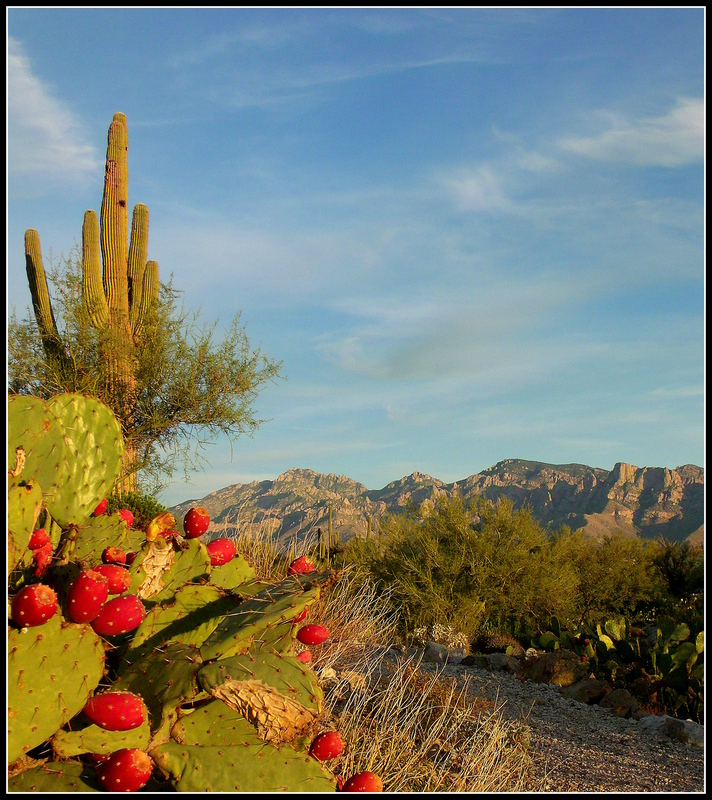 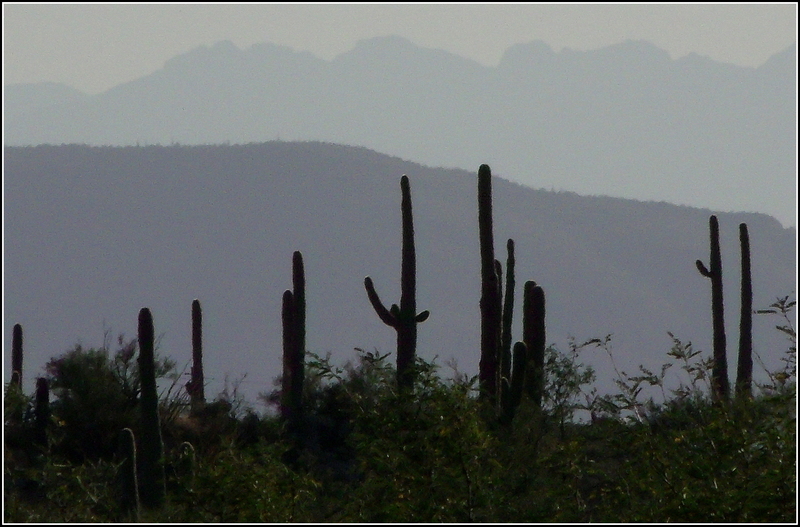 And lastly, a clutch of Saguaro cacti with some Prickly Pear in the foreground…. 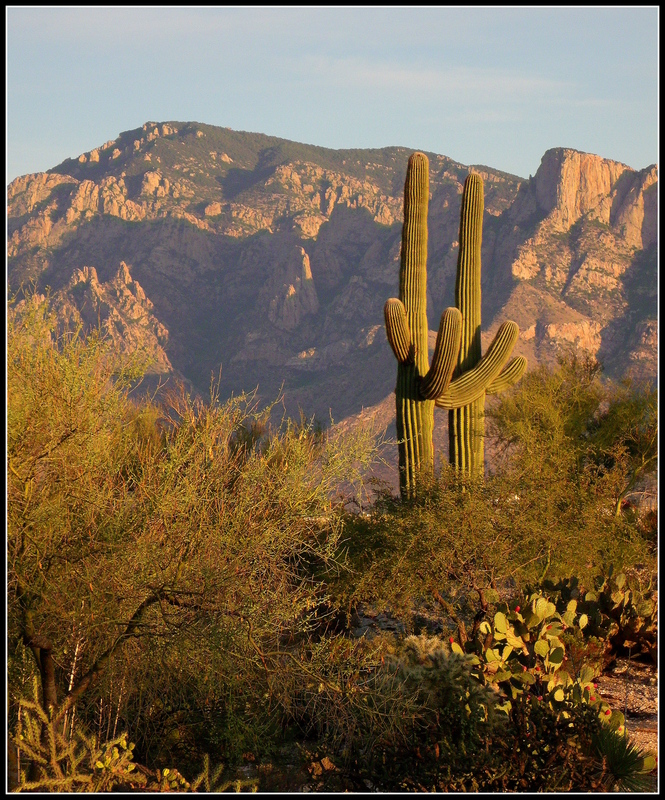 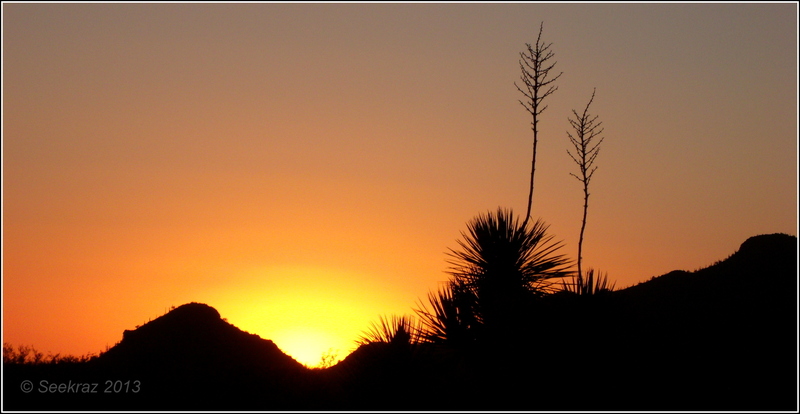 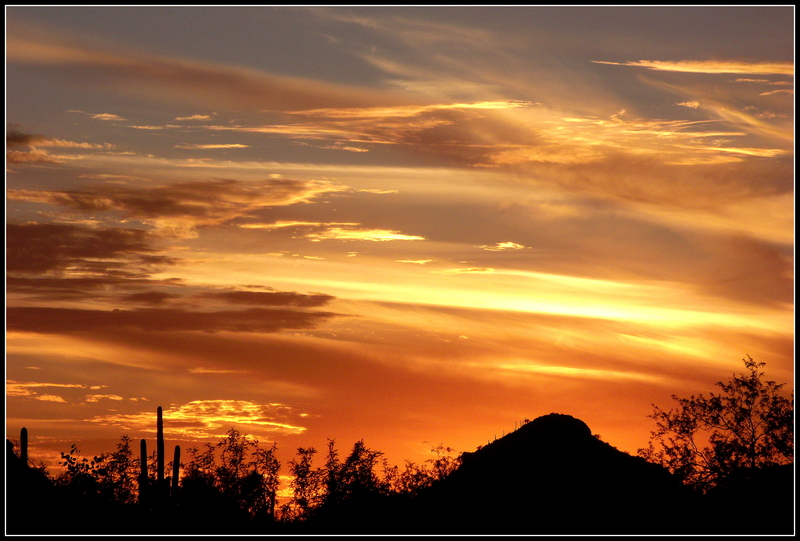 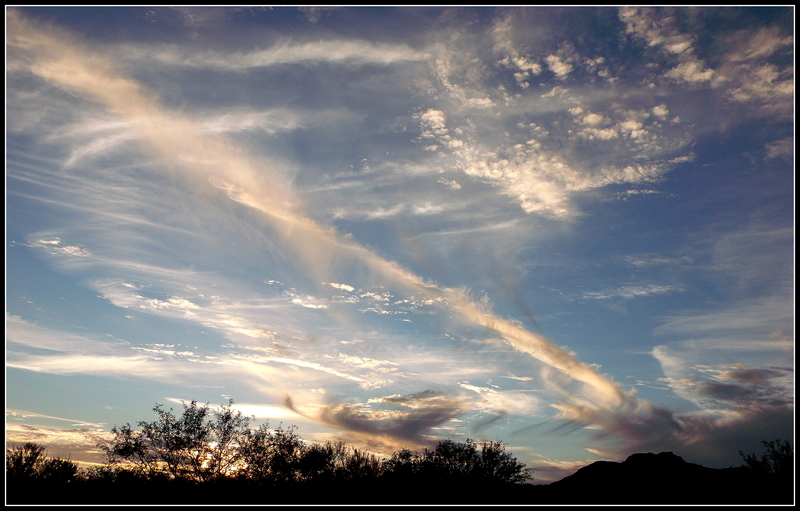 Thank you for visiting…I hope you’ve enjoyed the glimpse into the desert life of Tucson, Arizona.